On 5th July, the government announced its pledge to put more than £420m towards the development of innovative technologies and modern construction methods. This follows the announcement of the Department for Business, Energy and Industrial Strategy in November, that the construction industry would be the first to benefit from the sector deals that form part of its industrial strategy. £170m of the funding, that is expected to be boosted by £250m of private sector backing, will be used to half the time taken to deliver new build projects by increasing productivity. Dubbed as ‘bytes and mortar smart construction’, the digital transformation of the construction industry will include innovative technology for digital building design as well as new manufacturing technologies and offsite manufacturing. The deal sets out a number of plans which include development of digital technologies including Building Information Modelling (BIM). The UK BIM programme is managed in the UK by Centre for Digital Built Britain, a partnership between the Department for Business, Energy and Industrial strategy and the University of Cambridge with the aim of delivering a smart digital economy for the future of infrastructure and construction. The collaborative approach to working that is enabled by BIM allows early supply chain involvement and efficiency when designing, creating and maintaining systems whilst supporting effective decision-making and reducing the risk of error. The key to its efficiency is its 3d models and a common data environment which facilitates effective sharing allowing the entire supply chain working from a single source of data. 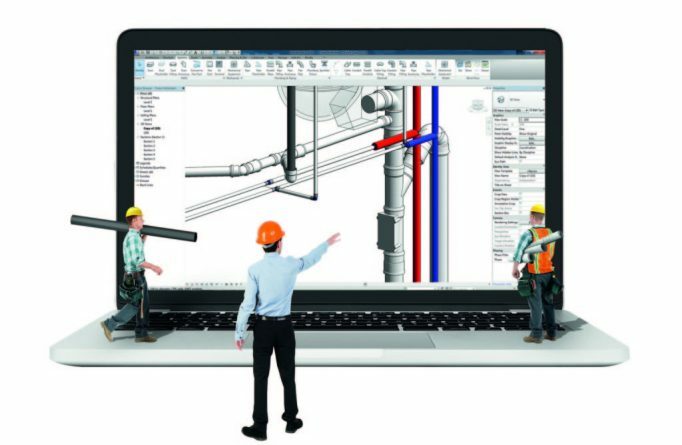 Wavin is pleased to lead the way in digital design for plumbing and drainage systems by providing our clients with market leading Revit content. Our “Intelligence Assistance” saves designers a considerable amount of time and effort when modelling an “as built” drainage / plumbing system, whilst also giving the user assurance that they are using the only drainage content available on the market with a BSI Kitemark.